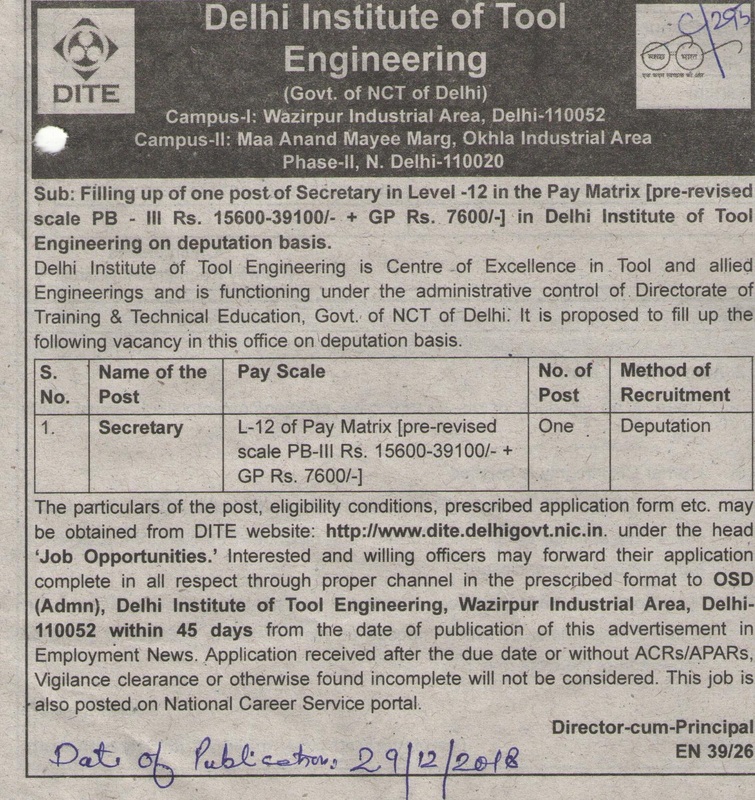 06-Feb-2019 CORRIGENDUM - The closing date for receipt of applications for the post of Secretary to be filled on deputation basis in DITE and published in Employment News dated 29th Dec to 4th Jan 2019 is extended up to 28th Feb 2019. The last date for receiving the application in DITE is 11th February, 2019 at 5.00 pm. * to download form, right click on PDF Icon, and choose "save target as". and save the file to desired location.